Whether you want extra refrigerator space at home or you're university bound, this Magic Chef mini fridge has the storage options you're looking for and then some. A can rack conveniently keeps pop organized and within reach while additional door shelves provide space for other frequently used items. Plus, as an energy efficient appliance, you'll not only save money when you use the refrigerator, but you'll reduce your global footprint too. How cool is that? How do you make the great outdoors more refreshing than they already are? With the addition of this sleek Danby outdoor refrigerator, of course! Tested to operate in a tropical environment, this unit is made for durability in exterior conditions and functionality in entertaining atmospheres. Featuring Danby's exclusive Contemporary Classic retro-inspired curved door design, rubber-grip ergonomic handle and stylized worktop, its exterior features are only outmatched by its signature interior. Ideal for lunchrooms, small kitchens, wet bars and dorm rooms, this compact refrigerator from Danby can be adjusted to the same height as your rooms countertop. It comes with a full-width freezer section for frozen foods, easy-to-use temperature controls and the patented CanStor<sup></sup> beverage dispenser system. Best part? You won't need to worry about anymore sky-high electricity bills - this mini fridge also boasts an ENERGY STAR rating. 4.4 cu. 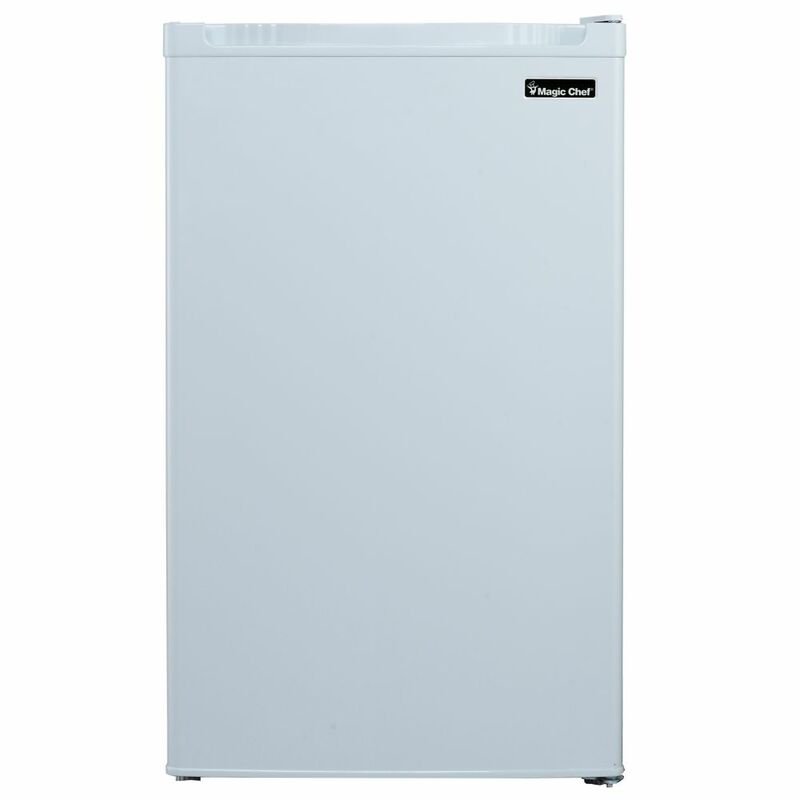 ft. Mini Refrigerator in White - ENERGY STAR® Whether you want extra refrigerator space at home or you're university bound, this Magic Chef mini fridge has the storage options you're looking for and then some. A can rack conveniently keeps pop organized and within reach while additional door shelves provide space for other frequently used items. Plus, as an energy efficient appliance, you'll not only save money when you use the refrigerator, but you'll reduce your global footprint too. How cool is that?